Our 4 hour cooking classes offer a fantastic opportunity to work with top quality ingredients as you focus on a specific cuisine. Our expert chef will teach you the intricacies of some truly exceptional recipes that are perfect for impressing friends and loved ones at home. 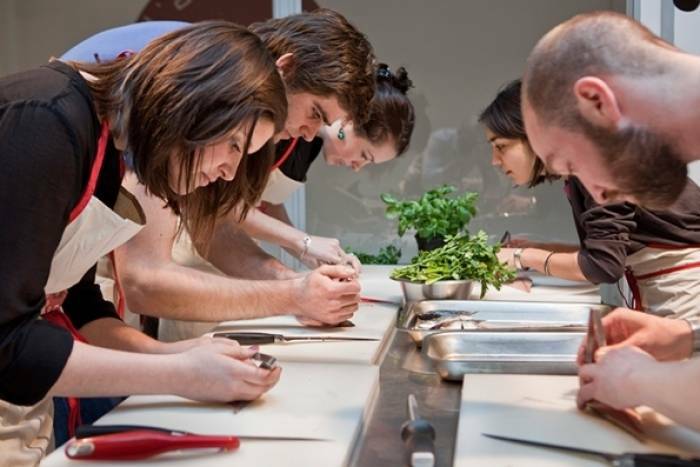 You'll spend a total of 4 hours in the kitchen learning new skills and working with the team and your fellow classmates to bring all of the dishes together. Our carefully designed masterclasses cover everything from classic French cuisine, impressive Italian dishes and flavour filled dishes from India and Asia as well as traditional British recipes, seafood extravaganzas and other seasonal delights.